It is widely believed that the origins of tobacco have its roots in North America and the Native American Indians who introduced the herb nicotania to the explorers that landed with Christopher Columbus and thereafter. It was used in colonial times as chewing tobacco, and snuff. Later tobacco was used in pipes and cigars and smoked when it began to take hold in society and popular use during the 18th and 19th centuries. The popularity of tobacco in the United States has steadily grown since 1900, for various reasons, including marketing. In 1884, the cigarette manufacturing machine was invented by James Bonsack and began the mass production and packaging of cigarettes in the United States. Prior to 1900, cigarettes were not commonplace. But in 1913, Camel cigarettes enjoyed a huge growth in sales after a massive promotional campaign in print, and fueled the surge in popularity of cigarette smoking. 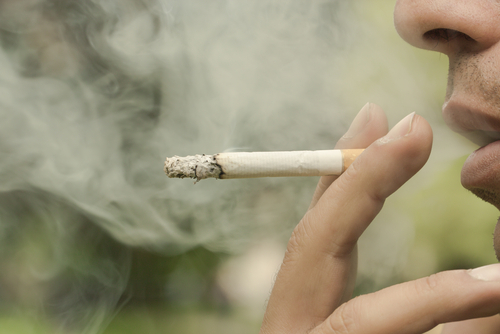 In the early years, cigarettes were almost exclusively smoked by men. Camels’ success started a dramatic jump in cigarette sales and marketing for other brands who followed suit. World War I also played a large role in the popularization of tobacco and cigarette smoking, as cigarettes were given to military personnel who went off to war. Likewise, World War II bolstered the popularity of cigarette smoking, as soldiers were given free packs of cigarettes in their rations. Obviously, the free supply of cigarettes addicted many non-smokers and likely turned them into long-time smokers, as nicotine is known to be an addictive drug. Advertising campaigns then began to appear in the 1950’s designed to entice women into smoking cigarettes, and succeeded in garnering a new demographic for tobacco. The popularity of tobacco has begun to wane in the past 50 years, mainly due to studies linking tobacco use with various forms of cancer and warnings about the dangers of tobacco use. Despite its best efforts, the medical community and the Surgeon General of the United States have only reduced the use of tobacco in Americans by a small percentage. Movies, celebrities and posters glorifying the use of cigarettes and cigars have persisted and kept tobacco use in America as common as the consumption of alcohol. In the past few years, electronic cigarettes have begun to replace tobacco, having nicotine as its main ingredient, but without the tar generated by smoking tobacco. Laws have also helped to curb cigarette smoking by making it illegal to smoke in buildings and eating establishments where it was prevalent for decades. Be the first to comment on "Smoking: Its Origins and Popularity in the United States"